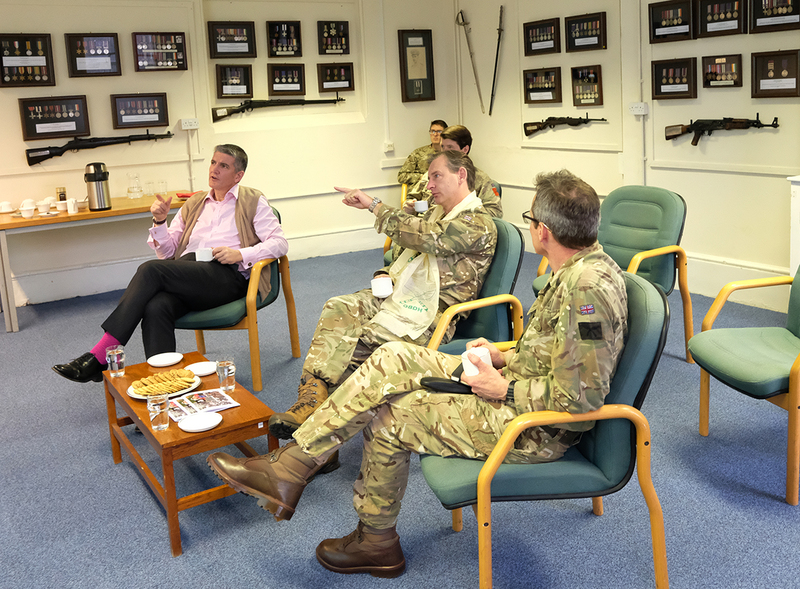 General Sir Mark Carleton-Smith KCB CBE ADC Gen made his first visit to Headquarters Brigade of Gurkhas since assuming the role of Chief of the General Staff (CGS). 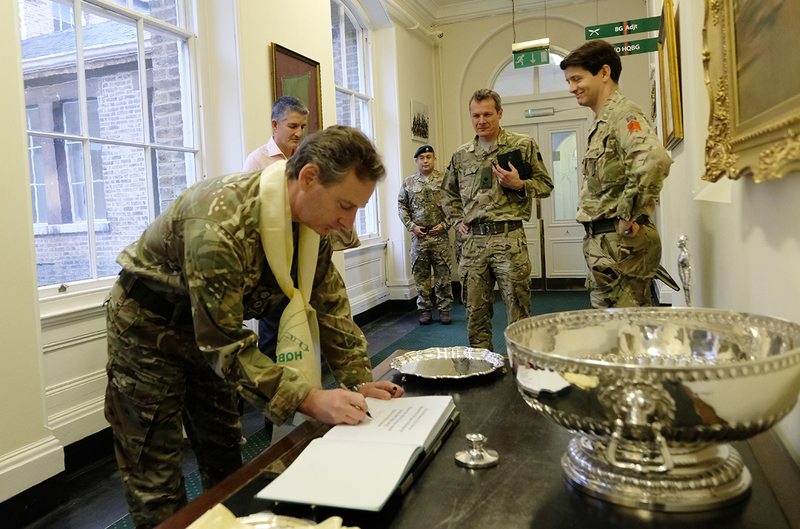 He was joined by Colonel Commandant Brigade of Gurkhas, Lieutenant General Nick Pope CBE, and Colonel Royal Gurkha Rifles, Major General Gez Strickland DSO MBE. He was presented with a traditional khada by the Chief of Staff, Major Shane Burton, on arrival before being escorted to the briefing room for an overview on Gurkha issues. We were proud to inform him of the 400 new Gurkha recruits who were attested into the British Army just that morning. He was given a summary of Gurkha growth and recruitment before the Deputy Chief of Staff, Major Narendra Gurung, gave an insight into Gurkha welfare matters. CGS stayed for more than 45 min discussing a number of topics and it was great to hear that he has a Gurkha connection in his father who was the Brigade Commander of 48th Gurkha Infantry Brigade in Hong Kong. 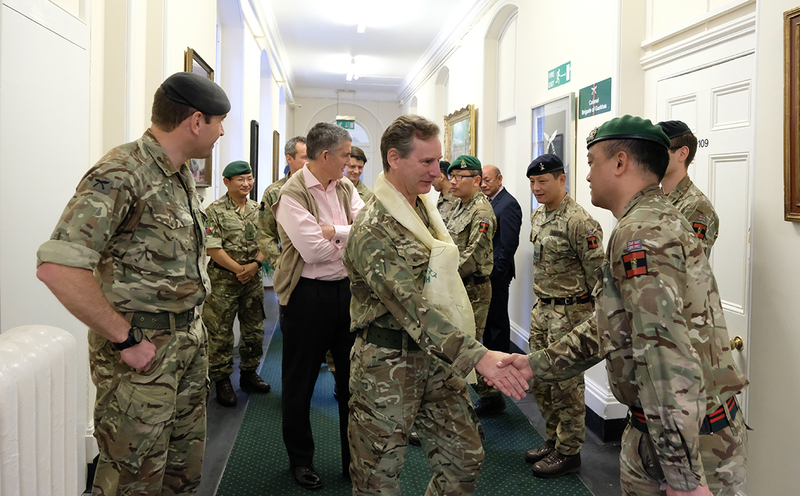 It was a pleasure to have welcomed CGS to the home of the Brigade of Gurkhas.